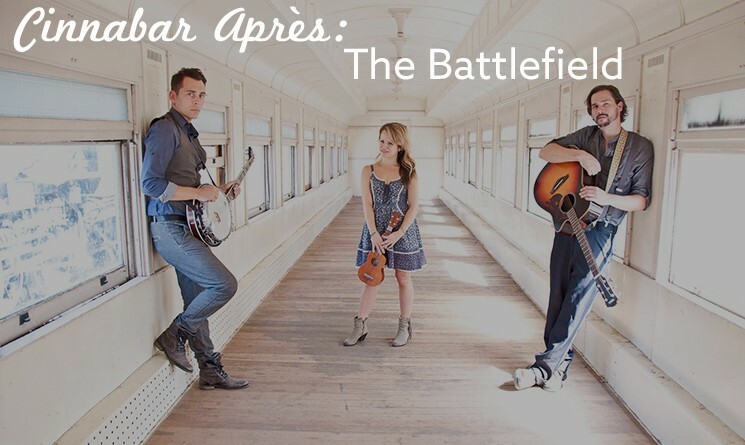 Don’t miss free live music in the Cinnabar with The Battlefield playing Indie-folk/Americana music on Friday, February 23rd, Saturday, February 24th and Sunday, February 25th from 3:30pm- 6:00pm! See all Cinnabar aprés music here. Los Angeles, CA’s The Battlefield mine the American songbook to craft deeply moving, elegantly executed portraits of our shared humanity – embracing the beauty but never shying away from the ugliness. There's a deep-rooted tradition of folk music with messages of protest, praise, love & loss, and on Tipping Point they continue this tradition, struggling through their art to parse out the how’s and why’s of human behavior and it’s consequence to the world we share.